Ever since Roo was little she has always had a pair of boots in her shoe rack. Whilst she has always been a girly girl she loves the practicality that comes with wearing boots. Enabling her to climb or venture through the woods or along the beach. As well as looking super cute with her outfits (ever the stylist). As she has grown up, boots still play a huge part within her footwear options. In fact, during the autumn, winter and into spring they are her go-to footwear choice. Whilst days of pretty pink ad flowery boots have been replaced with practical black boots. During a trip to Westfield over the summer, I discovered a fantastic shoe store, Deichmann. As I browsed, I was pleasantly surprised by the great selection and prices available. So when the contacted me and asked whether I’d like to review their children’s range, I knew that Roo would love a new pair of boots. 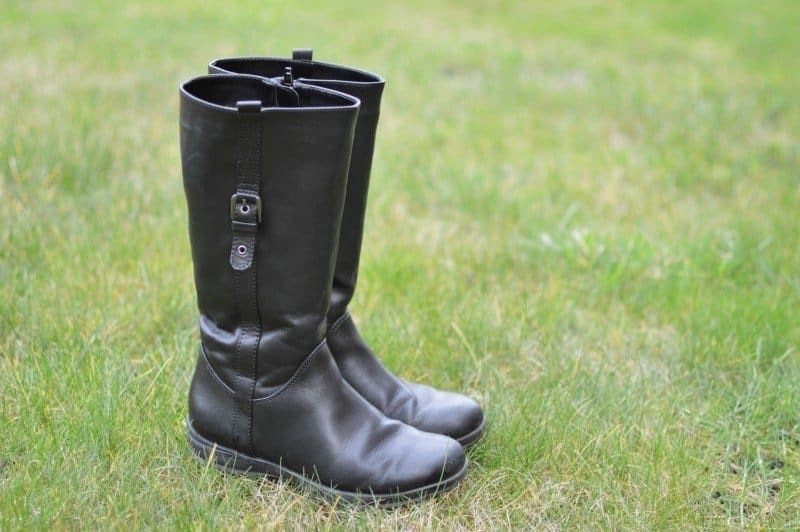 The Deichmann long leg boots feature a simple buckle to the outer side of the boot which adds that little element of detail. Whilst the inner side boasts a full-length zip making it easy for Roo to put the boots on and off without too much fussing. The chunky sole provides comfort when walking and practicality against the elements. These versatile girls boots look great whether Roo is wearing them under her school trousers. With a pinafore dress and thick tights or over the top of trousers/jeans. As Roo is fully into the tween years, what you wear is very important to her. Making sure that this top goes with these trousers etc. So I’m pleased that these long leg boots will match so many different outfits. As well as being able practical to wear for walking the school’s dog, heading out shopping and spending time outdoors in the woods etc. The Deichman long leg boots are available from the Deichmann website and stores, priced at £19.99 – which is great value for a pair of girls boots!